Come summertime 2019, we’ll see a shift in the landscape of major Chippewa Valley music festivals – most notably with Eaux Claires’ year off. Over the last four years, Eaux Claires has brought tons of unique music acts, album releases, one-of-a-kind collabs, and cool experiential art stuff to Foster Farms just outside of Eau Claire. But at the end of the year, organizers announced their intention to take a gap year in 2019 to refocus their model, restructure the way they do things, and bring the festival to the streets of downtown Eau Claire in 2020. That’s not to say there won’t be anything coming from Eaux Claires in 2019 – and big festivals like Country Jam, Rock Fest, Country Fest, and Blue Ox are still on schedule – but it leaves somewhat of a gap in the scene we’ve grown used to since 2015. But one cool trend we’re noticing in Eau Claire’s music scene is the rise of mini music festivals. In the last few years, we’ve seen a bunch of one-day or several day concerts, series, and big one-off shows that bring the local scene together in big ways. Sawdust City Limits has been throwing multiple concerts a year that host a wide collection of local artists from different genres. And in October, the series partnered with the Eau Claire Music School for a Girls Rock Experience at The Metro. Expect more from Sawdust City in 2019. 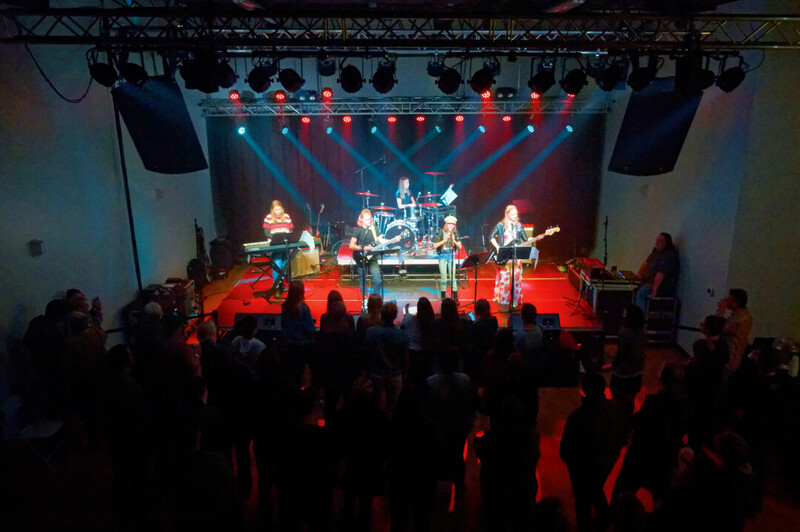 Last fall, local band FM Down helped organize a cool one-night show called Bad Art Music Festival at The Pablo Center with six local bands, three of which released albums the night of the show. Decadent Cabaret, of course, will return in March for a bombastic three days of local music. Meanwhile, Prex Claires (a city-wide night of local music all over downtown Eau Claire preceding Eaux Claires weekend) still seems to have intentions of doing something this summer with or without Eaux Claires. Between Prex Claires and downtown Eau Claire’s New Year’s Eve celebration, multiple music venues blasting tunes simultaneously for special events is becoming a pretty regular thing. Even on Eau Claire’s thriving house show circuit, a locally-organized one-day event called Everything Dies Art Fest will return in February. So even missing one of the city’s biggest cultural events in 2019, you can expect lots of cool stuff from the local scene.